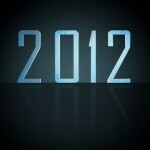 Today is the date for the first EuroMillions draw for the month of April. 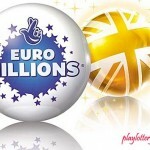 EuroMillions officials estimate that EuroMillions players will play for an estimated amount of £17 Million. The current jackpot prize is inclusive of last week’s roll over. Lottery players will have to wait and see if the draw will yield some jackpot winners or will there be another roll over. In the past EuroMillions draw, the UK appeared to be having a winning streak but this was cut short after a player from France matched the winning numbers. Hardly a week later, another French player won the next EuroMillions jackpot that was worth £12,555,000. 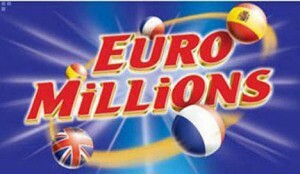 The French and the UK players have their fingers crossed hoping that they will scoop the current Euro Millions draw. Let’s wait and see if another participating country will start their own winning streak. In the past EuroMillions draws, here has been some numbers that have featured prominently in the winning number combinations. For those players willing to take the chance, here are the numbers; 4, 12, 50, 14, 19 while the lucky star numbers to play are 5 and 3. Lottery draws are 100% based on chance therefore there is no guarantee the above numbers will appear in the next EuroMillions draw. 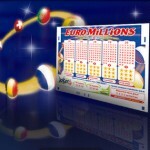 The EuroMillions is a popular Pan European lottery that launched in 2004. Players around the world can participate by playing EuroMillions online.